I was out hiking today, and didn't bring a jacket - my current ones are all a bit big, pack-size wise, so I decided to leave them at home. What a mistake! Mid-way a strong wind started to blow, chilling me to the bone, and the onsetting drizzle a bit later didn't really improve the situation. I was running home as fast as I could, where I heated up the Sauna and had a hot Minttu Chocolate to warm myself up from the inside. After my body temperature was close to 37°C again, I sat down to find out about light windshirts with a tiny packsize. Haglöfs from Sweden make one, called the Shield Pullover. It is highly wind and water resistant, so will keep me warm in such wind and drizzle I experienced today, and because it packs so small I would not need to leave it behind! It even has thumbloops and reflective detailing, so I can wear it when I go running in the mornings, and I can put my keys and smartphone into the zippered chestpocket. And with such a small packsize, you should not have any problems fitting it into my stockings! Leave a comment and tell us where you want to use this garment. I expect you're a Size L - if you're not, please don't participate! 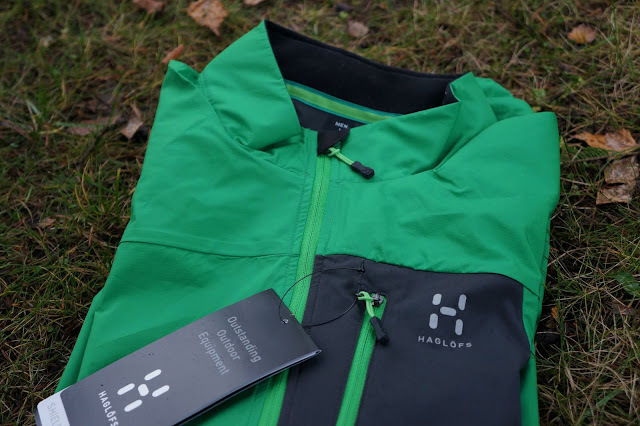 Thanks everyone, seems the Haglöfs Shield Pullover is fairly popular and could be used on many continents! And the winner is... Wilhelm - Congratulations! Please contact me via Email, you got till tomorrow 15 o'clock to get in touch otherwise it goes to the second in line! Thanks everyone else, see you tomorrow at 6 AM!